Samsung's CEO DJ Koh told Taiwanese media that his company plans to reveal the Samsung Galaxy Note 8 in late August, which comes in line with previous reports. A new story now offers an actual date for Samsung’s next Unpacked event that should take place in New York: August 23rd. Following it ending Galaxy Note 7 production in October 2016 after a recall due to recurrent issues of exploding batteries, Samsung confirmed a Galaxy Note 8 was coming. The Samsung Galaxy Note 8 is expected to sport a 6.3-inch Super AMOLED Infinity Display as that of the Galaxy S8. The device could be powered by Snapdragon 835 or the Exynos 8895 chipset with 6GB of RAM and 64GB internal storage. The Samsung Galaxy Note 8 will come in both 64GB and 128GB onboard storage flavours, with microSD support for up to an additional 256GB. we could see the handset featuring a dual camera setup of 12-megapixel with optical image stabilization. 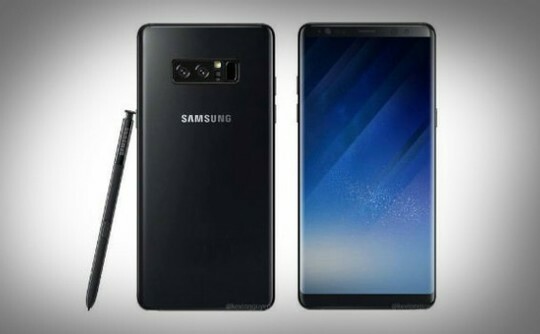 Korean news website Osen is reporting that the Galaxy Note 8 could be the first Samsung smartphone to feature a four-figure $1,000 (around £920) price tag. the rumored launch regions will include the U.S. as well as Samsung’s home country of South Korea, and also the UK.